« I’ve changed my mind: I like Twitter! Follow Me! In 1907, Anna Jarvis led a campaign to recognize the second Sunday in May as “Mother’s Day.” It was after her own mother’s death that she’d decided there should be a day to formally recognize one’s mother. Just two years later, Jarvis began campaigning against the very holiday she started. She felt the holiday was becoming too commercialized. A printed greeting card? She thought those were for people too lazy to write a heartfelt letter. Jarvis never married or had children. A wealthy woman for most of her life, she died in abject poverty. She and her sister spent their entire life savings fighting against the commercialism of Mother’s Day. But though it’s commercial, it doesn’t have to be trite. A beautiful tribute can be published right here in cyberspace with nothing but a great photo and a line about what mom means to you. Herewith, my dear readers—-and the dear mothers they love. Dear reader: Saptosa Foster. Dear mother: Joanne Woodard. 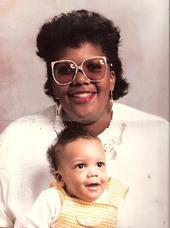 "This is my mom - Joanne Woodard - the love of my life. 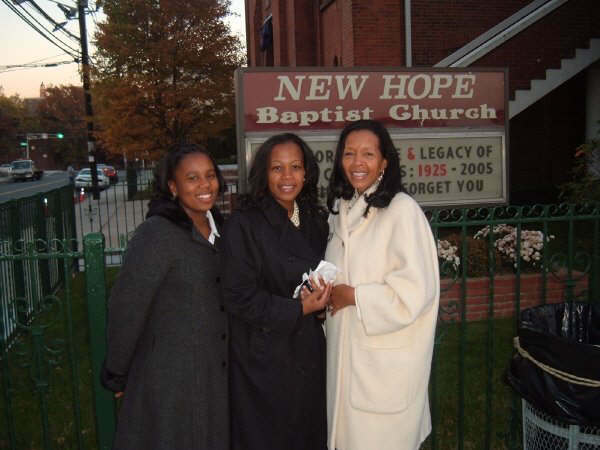 My mom founded a very successful charter school in Wilson, N.C. nearly 15 years ago (www.salliebhowardschool.com). She single-handedly revolutionized education for black and Hispanic children in our small, country town. It was pretty amazing to witness this growing up. Everyone in town loves her. You would too if you met her." 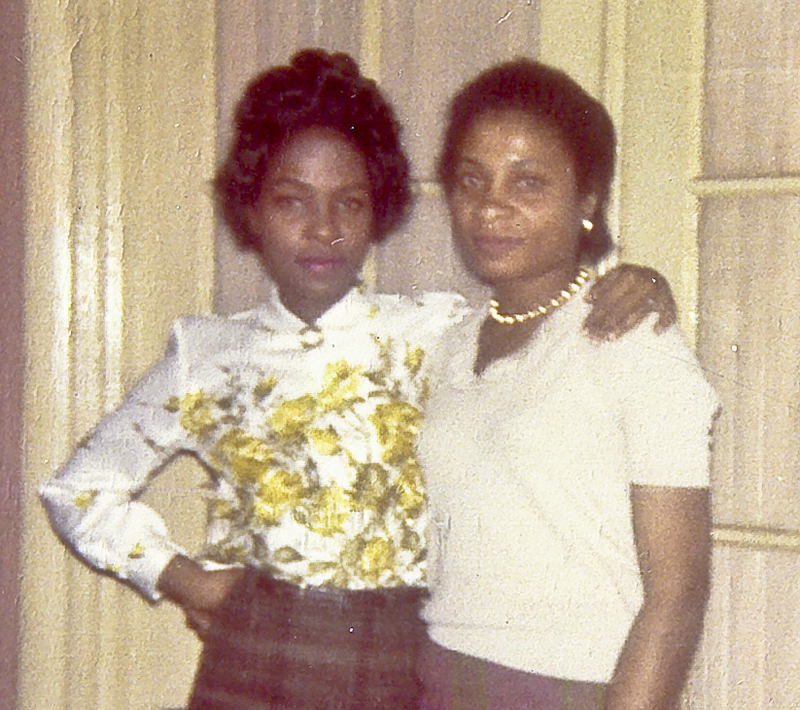 Dear reader:Thurselle Chisolm-Watts Dear Mother: Lillian G. Evans (also pictured, Thurselle's daughter, Yasmine Chisolm) "My mom is important to me because she nurtured and prepared me for every aspect of living; she did more than give birth-- she raised me." Dear Reader: Portia Chinnery Dear Mother: Esther Chinnery I forgot to ask Portia to give me a line about her mother. But luckily, I can do it myself. Because Mrs. Chinnery has been like a mother to me since high school. She's a no non-sense woman who manages to be loving and stern at the same time. In 10th grade, I dated a guy. Mrs. Chinnery did not approve. Whenever he and I came to her house, she had a look for me that spoke VOLUMES. For the next ten years, I looked at every guy I dated through her eyes. Would she give me The Look if she met this dude? 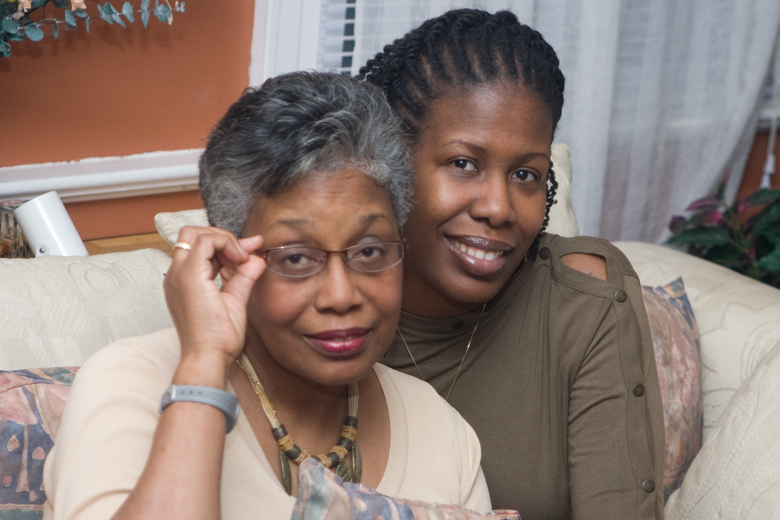 Dear reader Kimberly Woods and her dear mother. 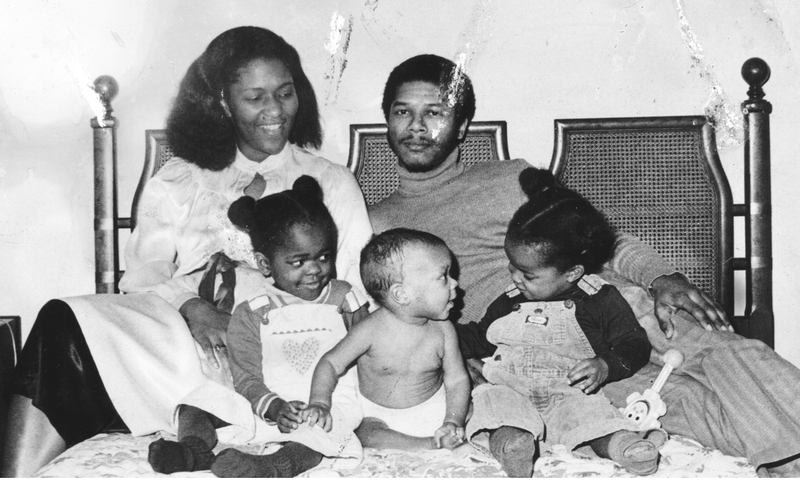 "My dear mother has taught me so very much about being a strong, educated black woman, as well as the importance of family fun and quality time. The photo depicts my mom and I experiencing our favorite place, Walt Disney World. 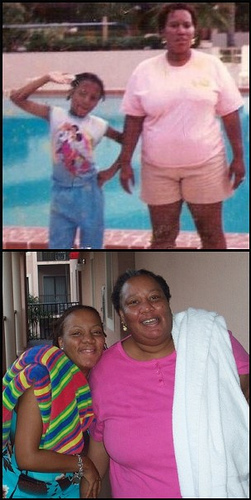 The top photo is of us at the pool back in the 80s and the bottom photo depicts my joy (and her pride) when I was able to show my appreciation and bring her to Disney in 2005. Though my mom struggles with many issues, WDW allows us to forget them all and just relax, even if it's just for a week." My mom has always recognized and supported my ability to make my own decisions. Through all of the schools, moves, career changes, and other nonsense that we experience in our twenties, she’s always had my back. Dear reader: Retha Nicholson Fernandez Top photo: Retha and her dear mother: Sonia. 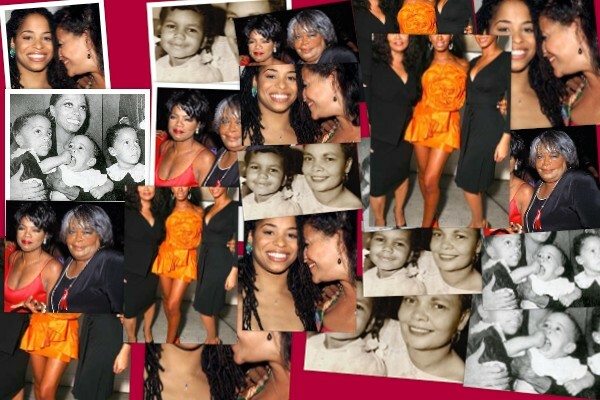 Bottom photo: Retha's mom and grandmother Gloria. "My mom and I have a contentious relationship at best (we have the same birthday), but when it really counts, I mean really counts, she is always there for me....without question. My grandmother is 84 and still going STRONG. She works out every morning to cable show workout programs. She's an example to us all." Dear reader: Katura Hudson. 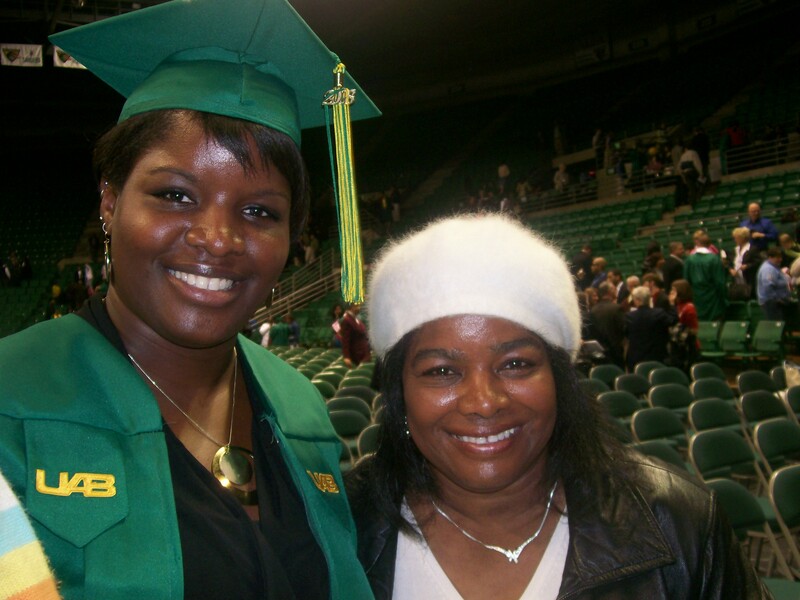 Dear mother: Cheryl Wilis Hudson My mom knows how to live, laugh and love, and I'm learning from her example. Dear Readers: I threw out a request for photos and anecdotes at the very last minute on Saturday afternoon. I wish I had thought of this a week ago! I was humbled and verklempt at all the awesome photos and quotes my dear readers sent in. Thanks much. Even if you didn’t get a chance to send in a photo, can you please share with me what your mother or mother-figure means to you? September 26, 1974. My first birthday. Holding me is my paternal grandmother, Ollie King. 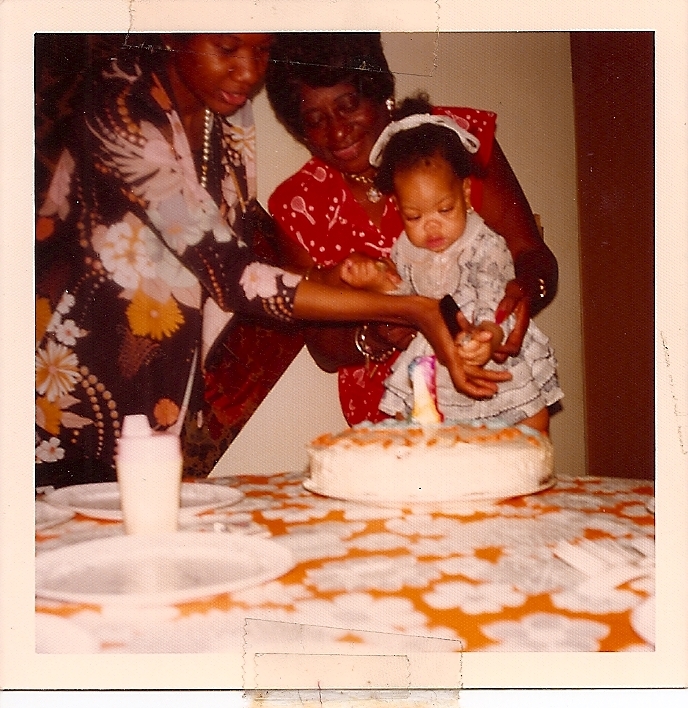 And helping to cut the cake is my mother, Rita Moore King. 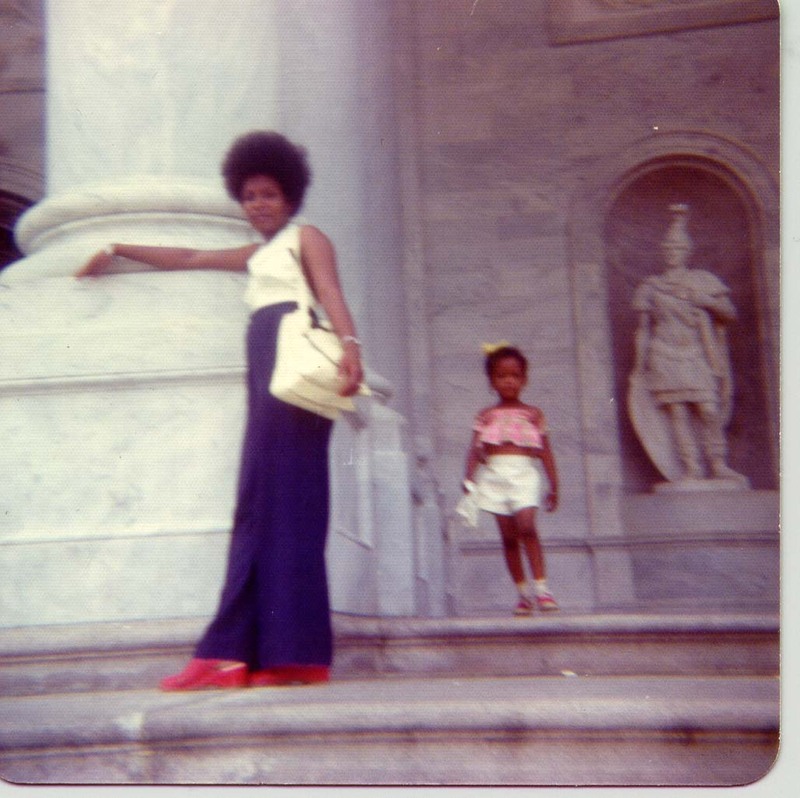 Long before I ever thought about being a writer, I watched my mom pitch stories to Essence and Reader's Digest. I walked with her to the mailbox to send off her pitches. I felt the nervous joy radiating from her as we walked back home to wait. I felt her wince when the fancy letterhead came with nicely worded rejection letters. She edited my first words. And has saved every single thing I've written---from Mother's Day cards, (even the pre-printed ones) to magazine articles and books. My mom is my biggest cheerleader. And she's my favorite writer. This entry was posted on May 10, 2009 at 8:11 am and is filed under Happy Holidays. You can follow any responses to this entry through the RSS 2.0 feed. You can leave a response, or trackback from your own site. aww. you look so cute cutting that cake with your chubby cheeks. you’re a libra and so am –born on september 24! btw, re: something you said a few days ago—your blog posts ARE long, but filled with good information so keep in going. don’t go short just cause everyone else is! What a beautiful post. Happy Mother’s Day to each and all. wow.Happy Mother’s Day to all the great moms in the world.i won’t tell my mom Happy Mother’s Day today bc it won’t be,i dont think it will ever be again.My big brother got killed on Thursday which was the worst gift a mom can receive b4 Mother’s Day. 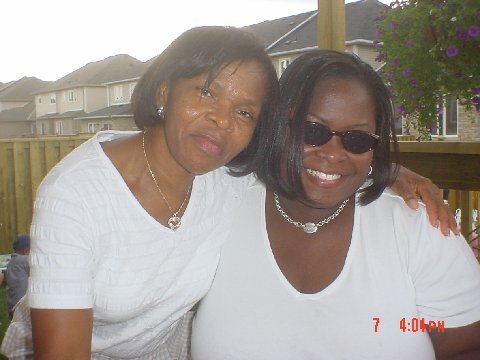 I will say my mother D’Carla McCray is a great women. I would love to be as strong as her. Love you mom. That was a great post. I’m just getting in from spending the day with my Mama and Granny. How I love them so! Oh, and Happy Mother’s Day to you! I hope you’re having a good one. Happy Mothers Day. I am not a mom but I do recognize and try to comprehend the unique honor of motherhood. Shaping young lives (prayerfully) with a nuturing love. Pouring herself into children who sometimes do not appreciate the willing everyday sacrifices. There is always time to honor mom! I forgot to call ma yesterday. I gotta go by the house now. I havent seen or talked to her for a min. Tell her hi and I love her. @megademus: shout out to Dr. Weston indeed: a very good woman. my mother got drunk, passed out and was unable to hear the doorbell when the flowers i had sent to her arrived. now i’m out 60 bucks. Such a beautiful post Aliya! All these women are truly amazing and what a blessing it is to have a loving mother. I try my hardest to uphold and love mine so I’m glad to have been a part of this. Hope everyone had a great mother’s day and @kanisia I am so sorry to hear about your loss, sending my thoughts and prayers to your family. Stay strong, sis! I like…I like. Great idea. I heard on Democracy Now that Mother’s Day started as an anti-war protest movement against the Civil War, because mothers were sick of raising their sons to be bulleteaters. I read this on Sunday, but didn’t have time to comment. This was a very special blog, thanks for letting me be a part of it!